A bind-up edition of two books from the much-loved classic children's series Pongwiffy featuring The Spell of the Year and The Holiday of Doom! In the second story, the rain won’t stop and Pongwiffy is BORED. So she decides to plan a holiday! But when Pongwiffy blows all of the Coven’s funds on a trip to Sludgehaven-on-Sea, maybe being bored isn’t such a bad thing. Two laugh-out-loud stories of humour and warmth, enticingly mixed with much sludge, slime and very bad habits. Now with brand new illustrations from Katy Riddell! 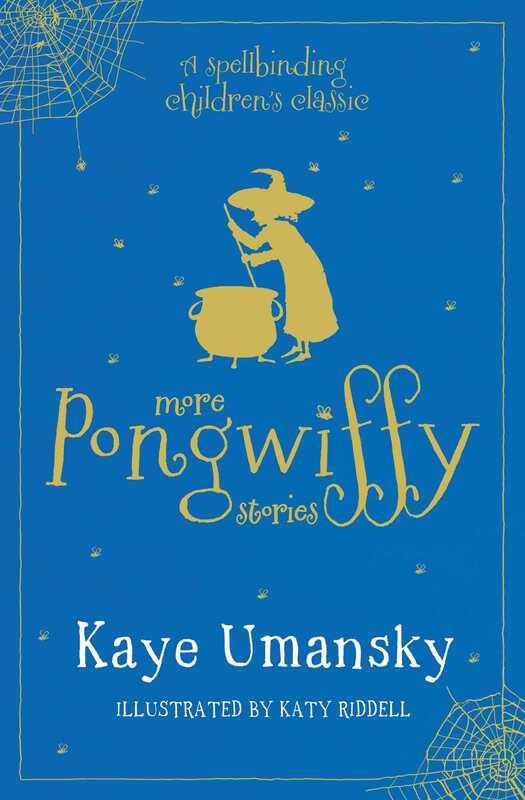 Kaye Umansky was born in Plymouth in Devon, England. She went to Teacher's Training College, after which she taught in London primary schools for twelve years, specializing in music and drama. In her spare time, she sang and played keyboards with a semiprofessional soul band. She now writes full time and has written more than twenty-five books of fantasy, fiction, and poetry for children. She draws on traditional folktales and modern urban myths for her inspiration and has a sense of humor that is popular with children of all ages, from five to one hundred and five. She lives in London with her family. Among her most popular books are her hilarious Pongwiffy titles. Pongwiffy, Pongwiffy and the Goblins' Revenge, and Pongwiffy and the Spell of the Year, which won the Nottinghamshire Book Award, are available from Minstrel Books. Katy Riddell is the daughter of the Waterstones Children’s Laureate Chris Riddell, and an emerging illustration talent in her own right. Originally from Manchester, Katy is now based in Brighton.